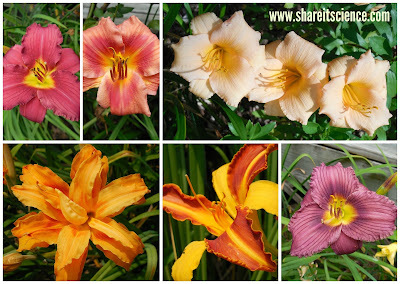 The lilies are at their peak! 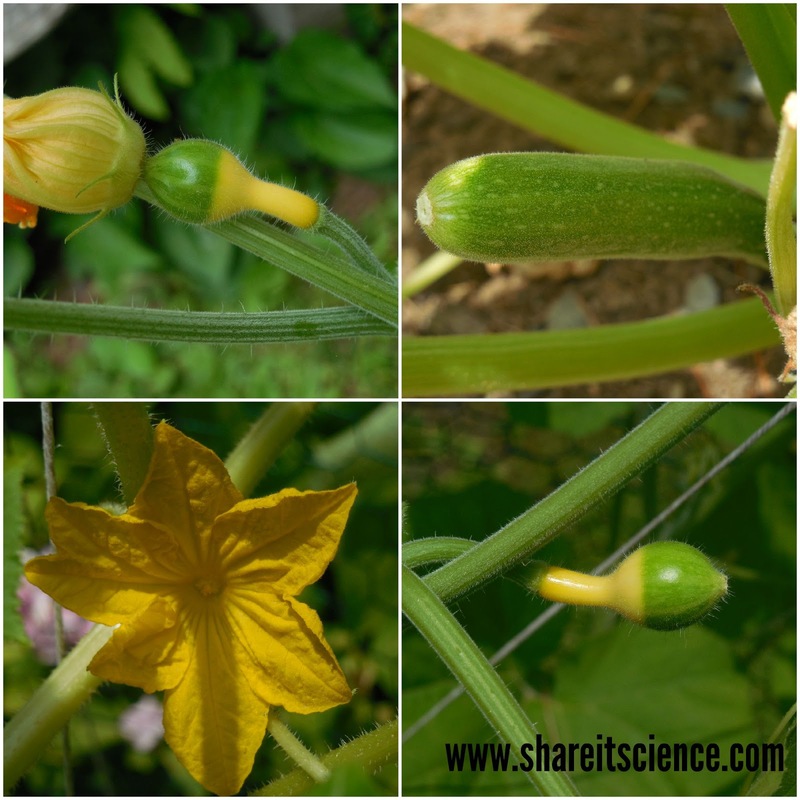 Mini-gourds and the zucchini are starting to grow! We can't wait to see what is going on in your garden! Flowers? Veggies? 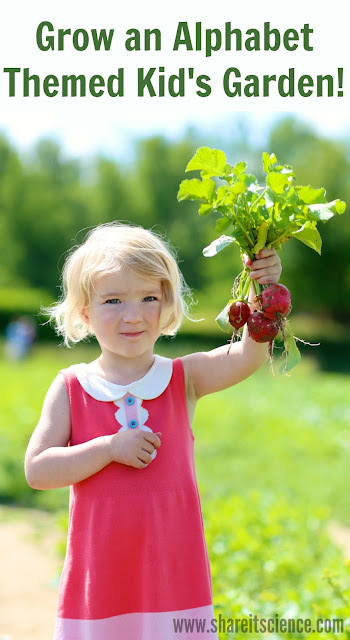 Great kid gardening? Please share! 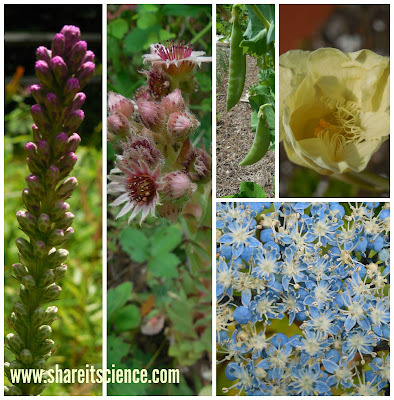 I'll be taking a short hiatus from science news posts to take a summer break, but stick around for reader pictures and "Glimpse of the Garden" features. We'll be back in business with lots of science ideas for back to school the week of August 10th. What's "Growing" On? Reader Photos! "Better than a fine wine." 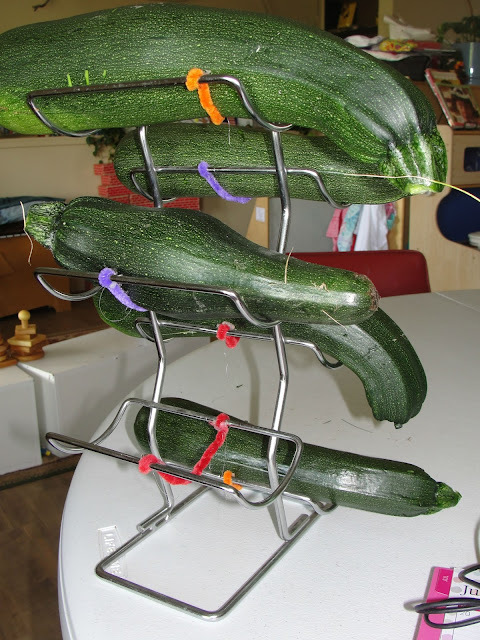 Reader Deborah Trierweiler sent in this zucchini photo. These beauties were grown at the Angels in the Making Childcare/Preschool in Ionia, MI. Thanks Deborah! 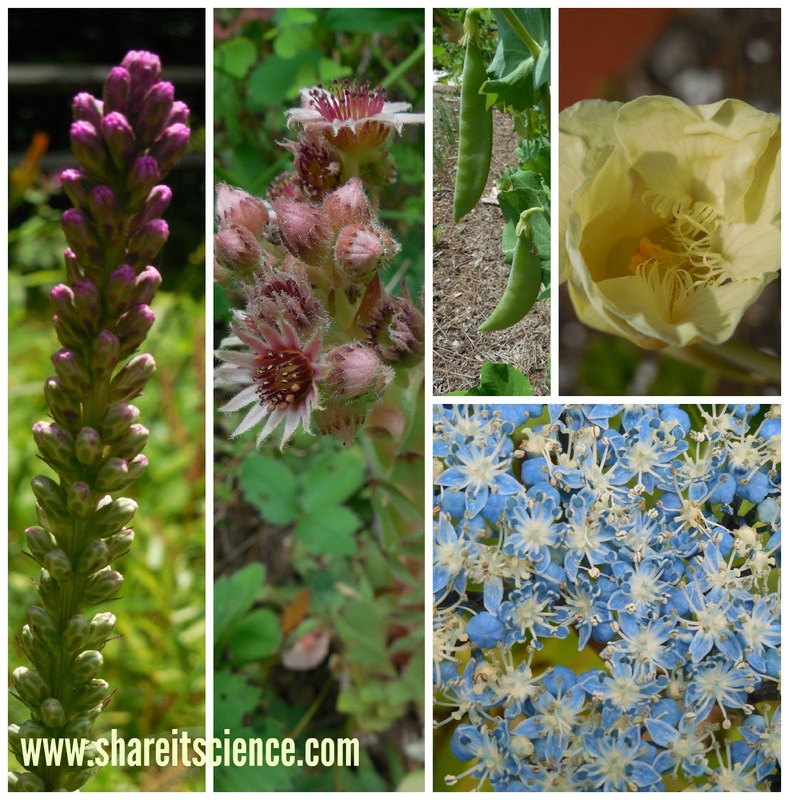 I'll be taking a short hiatus from science news posts to take a summer break, but stick around for more reader pictures and "Glimpse of the Garden" features. We'll be back in business with lots of science ideas for back to school the week of August 10th. 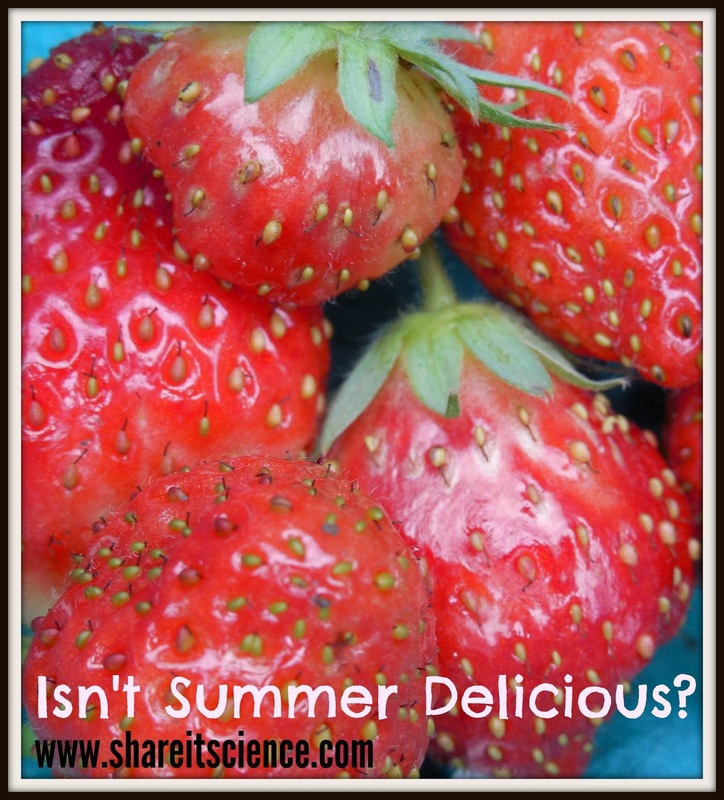 Glimpse of the Garden: Week 17, Isn't Summer Delicious? It's really beginning to happen around here! Because of the elevation of my home, we seem to always be at least 2 weeks behind when it comes to flowers and veggies. This week everything is blossoming and starting to really produce. I can't wait to see what you've been growing! 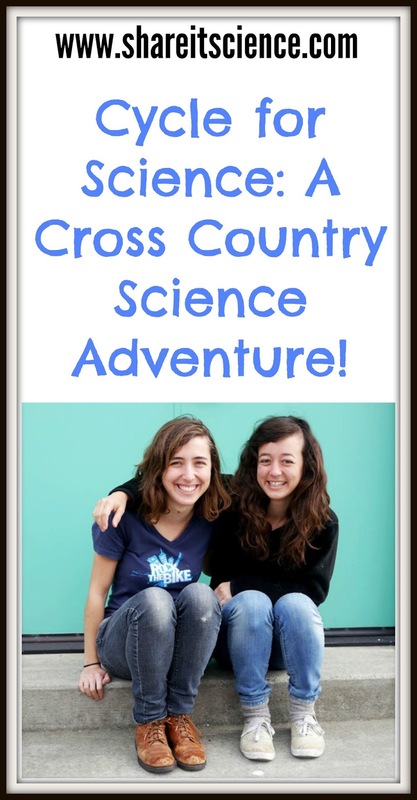 Cycle for Science, a Cross Country Science Adventure! Elizabeth Case and Rachel Woods-Robinson just wrapped up an amazing journey. These young scientists and cycling fanatics biked close to 4,000 miles across the United States this summer and taught science classes along the way. 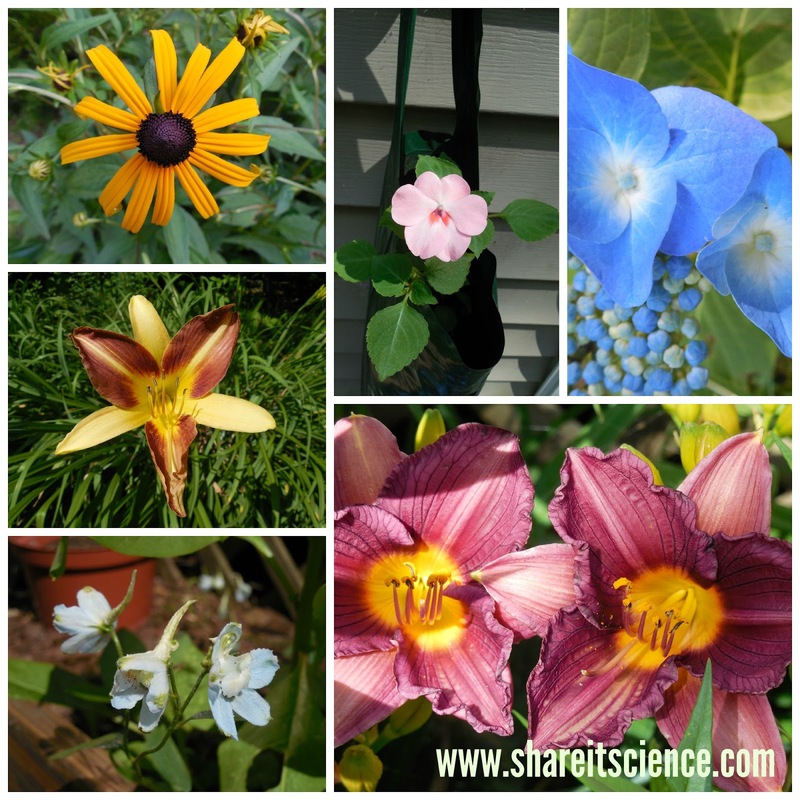 You may have read about them previously in my post, "Science Teaching Toolbox: Girl Power! Getting (and keeping) Girls Interested in Science" or my DOGOnews article, "Cycle for Science: A Cross Country Adventure with a Mission". In addition to the cycling and teaching portion of their project they will be spotlighting great teachers and sharing teaching practices. Cycle for Science will continue to be a great resource for science teachers looking for hands-on education ideas long after this summer. For more information about these resources and to read all about their travels check out their website here. You might also enjoy reading their guest blog posts for the Department of Energy found here. Time to Share Your Plant Pictures! Are you a "Glimpse of the Garden" fan? Or did you participate in our sunflower seed giveaway back in April? 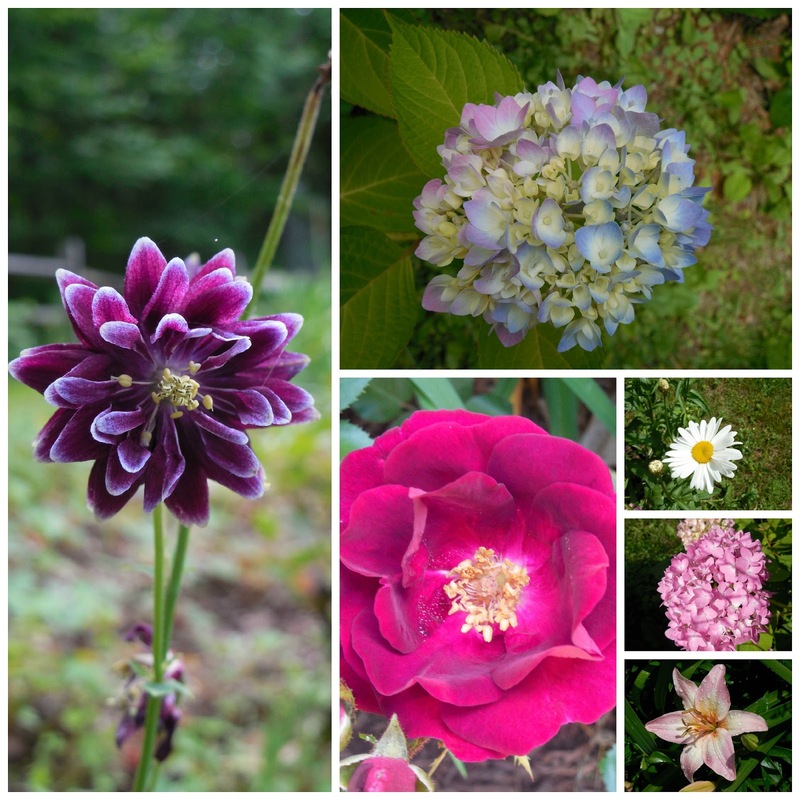 Throughout the remainder of July and the month of August I'd love to feature photos from your gardens! Did you plant a rainbow garden with your children? Did your sunflowers bloom? 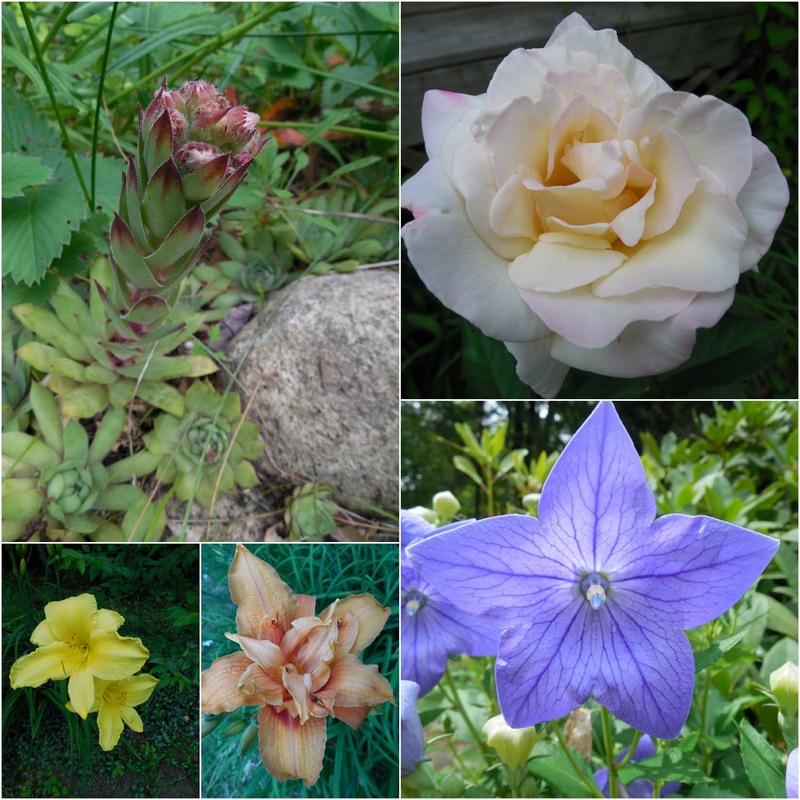 Perhaps you'd like to show off some of the other wonderful plants you are growing! Got some great veggies? We want to see them! We can't wait to see what you're growing! 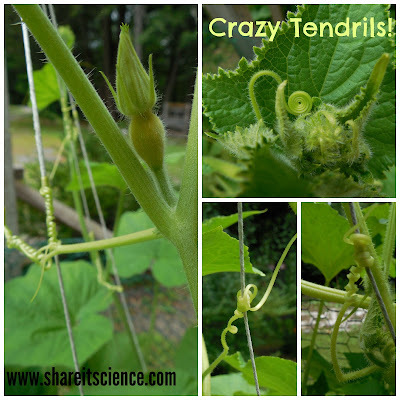 Once I learned more about cucumber tendrils, I noticed the same peculiar winding on my lemon cucumber vines! Another one of my favorites is the morning glory. 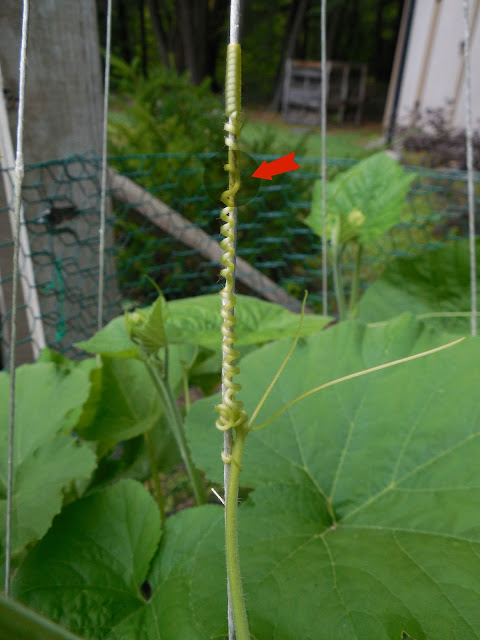 I love to watch as they slowly spiral up the trellis. Here is a time-lapse video of morning glories in motion. Roger Hangarten is a researcher at Indiana State University with a particular interest in plant motion and time-lapse video. Visit his site, Plants in Motion, for some other fascinating plant video! 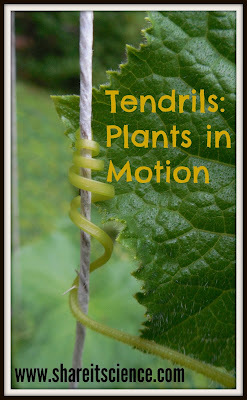 The scientific term for the winding and bending movement in plants is: nutation. 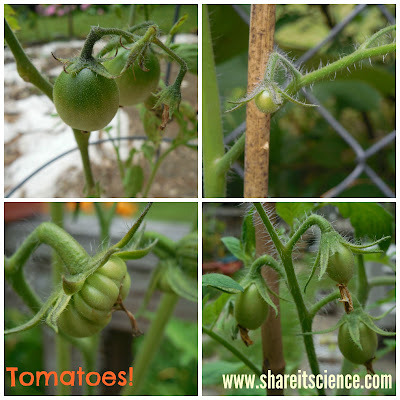 Where are you seeing nutation in your garden? What else is "growing" on? 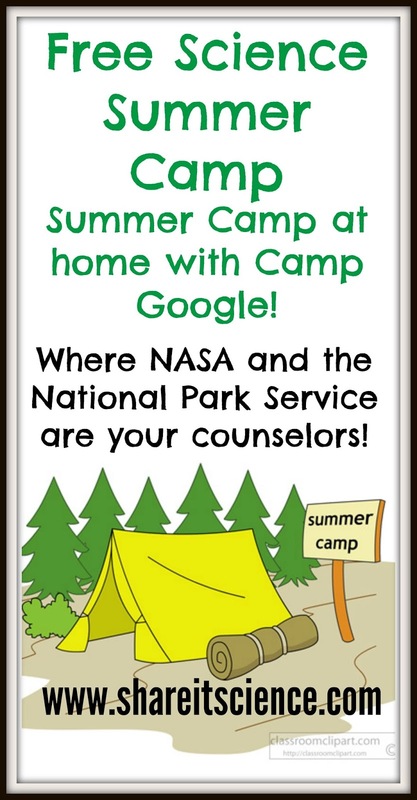 Free Science Activities For All with Camp Google! What could be better than this: a FREE science camp for kids, lessons by NASA scientists, National Park Rangers, with help from National Geographic and Khan Academy? The best part is, any kid can participate as long as they can get online. This is Camp Google! This week marked the start of Camp Google, a 4 week online science camp program that includes digital and hands-on activities. Kids can jump in at any point and content will stay live so they can work at their own pace. The first week explores the ocean with videos and hands-on science projects that use minimal materials you most likely already have at home. Space Week begins July 20th, 2015, followed by Nature Week on July 27th and Music Week on August 3rd. Kids do not need a Google account or to register, they can just dive right in! Another FREE exciting science learning opportunity for kids this summer is BrainPop's Spotlight on STEM. BrainPop offers videos, activities and games. I have used there learning materials for a wide range of aged students with great success. 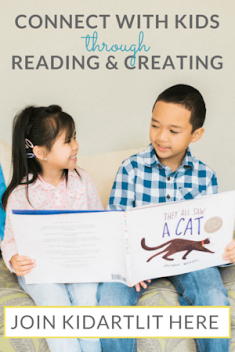 Usually the bulk of this content is only available through subscription service, so this is a great opportunity to use this excellent kid-friendly and educational site for free! 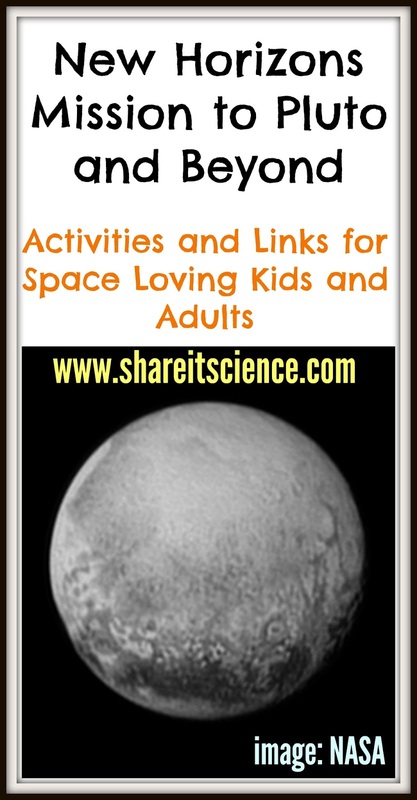 If you are looking for other summer science opportunities and materials for kids check out my post: "Over 13 Ideas to Keep Kids Engaged in Science All Summer Long"
Tomorrow, July 14th, 2015 marks an important event in space history. NASA's New Horizons spacecraft, the first to head to Pluto and the Kuiper Belt, will flyby the dwarf planet, Pluto. Although you will not be able to watch the flyby itself, check out this simulation. The New Horizons mission is exciting for many reasons. One is that this is the first time we will have a close look at Pluto. We'll study the dwarf planet more deeply than we have ever had the capability to before. Another is that we will learn more about the Kuiper Belt, a large area of debris similar in some ways to the asteroid belt, that holds relics from the formation of our solar system. The Kuiper Belt is where astronomers have discovered several dwarf planets. I personally think this mission is important because it gives our old friend Pluto some much needed attention after being demoted to dwarf planet. (Although, the reasoning for Pluto's classification change was sound!) There is still much to learn about this space object! The New Horizons spacecraft launched back in January of 2006. It is carrying 9 special items with it, including some of the ashes of Clyde Tombaugh, who discovered Pluto in 1930. Other items include 2 state quarters, Florida to represent where the spacecraft launched, and Maryland to represent where New Horizons was built. For a full list of this special cargo and its significance visit this site. This is a great time to get kids interested in space exploration. Check out the links below for some great sites for kids. 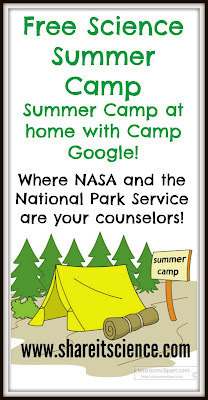 You might also want to try out Google's free online Science Summer Camp- Space Week begins July 20th. 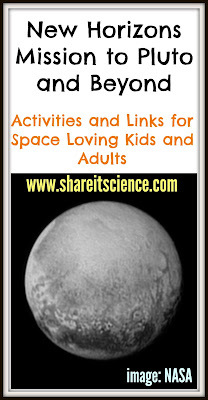 To keep abreast of all the news from NASA's New Horizons Mission check out the links below! Wired Magazine: "Watch: Here's What New Horizons' Pluto Flyby Will Look Like"
Universe Today: "Did You Know There are 9 Secret Items on Pluto Mission New Horizons?" Keep Kids Learning AND Save Money this Summer! Groovy Lab in a Box is offering another great summer promotion. Groovy Lab in a Box offers hands-on science activities sent right to your door. 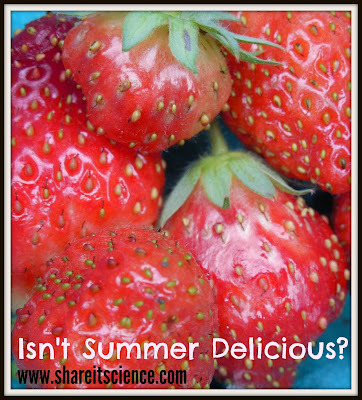 Great activities for summer vacation and road trips! Bundle their boxes "Come Fly with Me" and "It's Electric" and save an additional $5.00 with the code GROOVYDUO with FREE shipping! Avoid the summer slump, keep those young minds active! For more summer science activity ideas, check out my post: "Over 13 Ways to Keep Kids Engaged in Science All Summer Long"
Weeds. Something any gardener has to contend with. 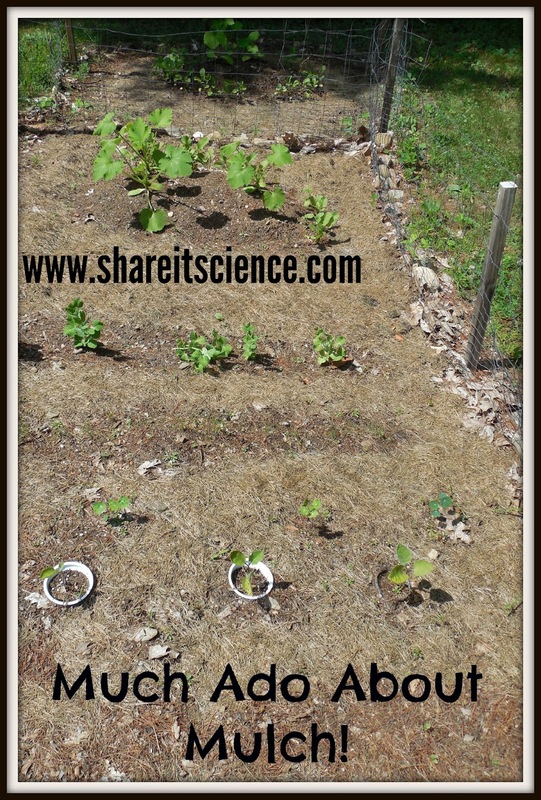 How do you keep your weeds down? This year I am combining some grass mulch and cardboard to help keep the weeds from sprouting. Mulching your plants can have many benefits. It keeps light from getting places you do not want plants to grow, it helps to hold moisture in and insulates the soil which can lead to increased growth in plants that prefer warmer soil. Depending on what you use to mulch, it can also improve the quality of the soil. 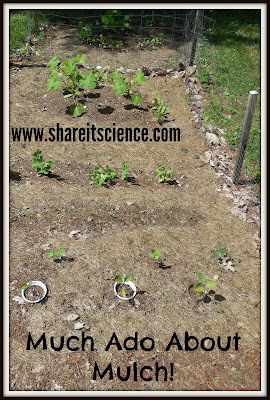 Grass clippings are a great idea in the vegetable garden. They are free, plentiful and have the added benefit of adding nitrogen to your soil. When you mulch with grass, it is important to lay it down over the soil in thin layers. Otherwise you might heat up the ground too much and scorch your roots, or find a thick, moldy mess when it begins to break down. Please note, if you use any insecticides, chemical fertilizers, etc. on your lawn, I do not recommend mulching anything you plan on eating with grass clippings as those chemicals may make their way into your food. I have also found that cardboard, as long as it is free from dyes and stickers also works well as mulch. It keeps the moisture in, breaks down slowly over time and is not harmful to plants. Both of these ideas are fine for those of us looking for an organic alternative to combating weeds. If you are going for aesthetics there are other organic choices that may look nicer, but I am just growing for healthy food, so I don't mind! What do you like to mulch with? This week some of my favorite flowers opened. (Do I say that just about every week??) The bee balm, like a firework, and the fascinating purple balloon flower. What have you got blooming? It is "Shark Week" on the Discovery Channel, an event loved by many and loathed by others. The scientific community has not always been positive about this annual television event, as it can lean toward fiction or sensationalism. We hope that the programming will be scientifically accurate, educational and entertaining. Regardless of your personal opinions about TV programs about sharks, we can all agree that humans have had a long-standing fascination with sharks. In light of sharks in the news after recent shark attacks and the infamous "Shark Week", it seems like the right time to investigate some shark science and activities! Researchers with the University of Hawaii and the University of Tokyo are using cameras mounted on shark fins to learn more about their behavior. For some great pictures from this work, check out Live Science's article here. One of the most fascinating things the scientists have learned is that throughout the day the sharks spend time in different depths of the ocean. They also have come to the conclusion that some sharks are actually positively buoyant. In other words, the sharks' physiology is such that they tend to float to the surface and have to work to keep themselves deep in the water. Sharks: Taking a Bite Out of the Myth. 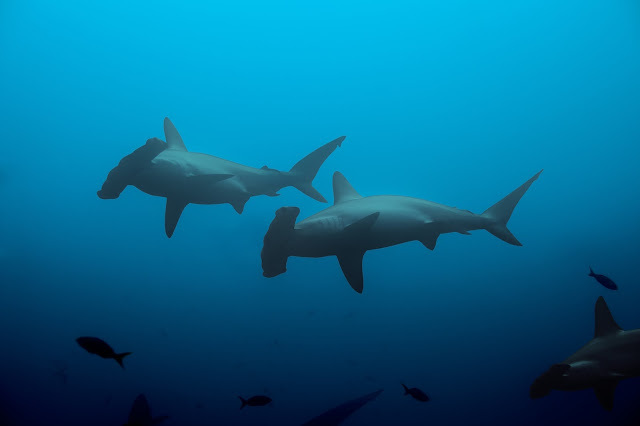 Use population data about sharks to better understand their behavior. A Shark's Sense of Smell. 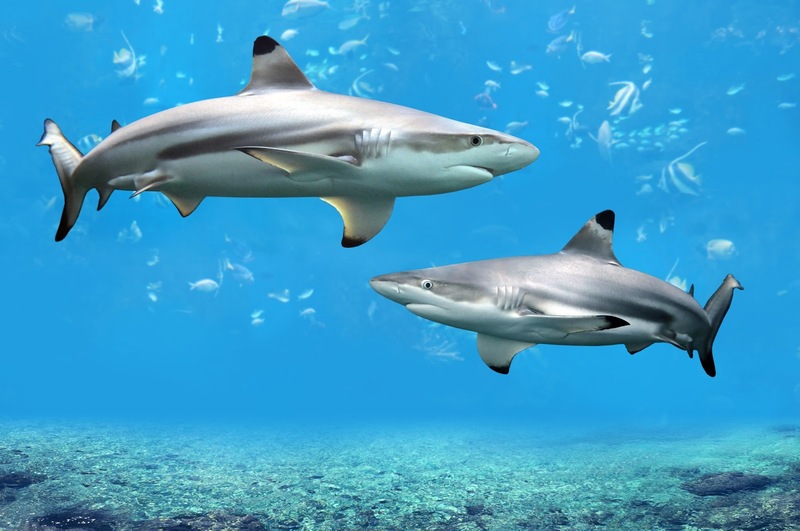 Discover how sensitive a shark's sense of smell is. 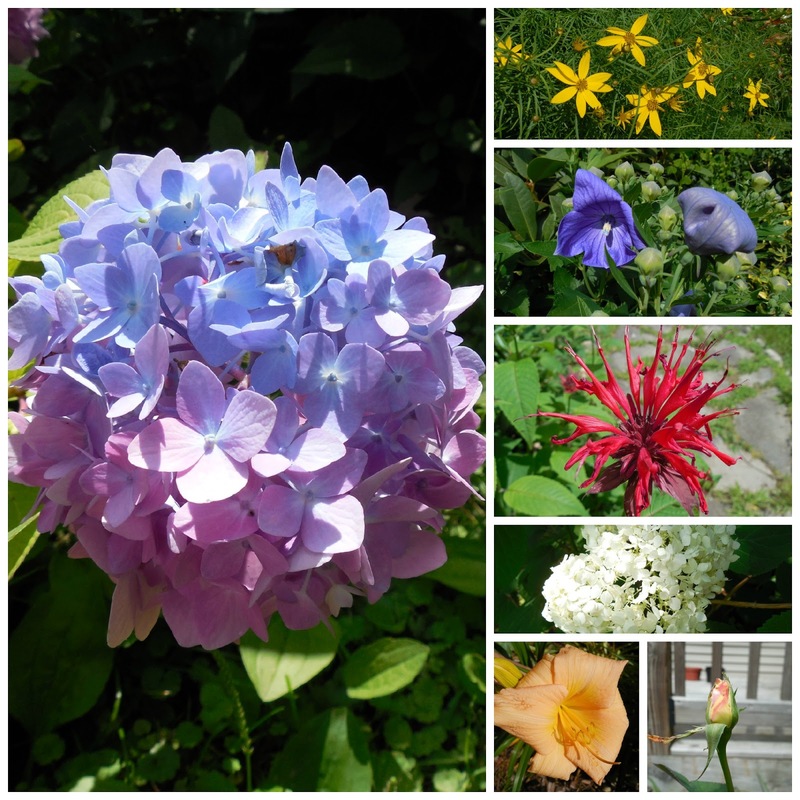 Glimpse of the Garden: Week 14, Green Galore! We've got green everywhere! All those little sprouts are becoming sturdy plants. It is very exciting. We've had cooler temperatures than usual and a lot of rain, but the bits of sun in between have enough to really green everything up. As usual I've gone a little container crazy. (See images below) I have potted plants everywhere! Many garden plants do well in pots because it helps to keep the soil a bit warmer and they can be moved to optimal locations for growing. Besides you can squeeze more in! I'll probably have to build a hovercraft to move around the garden once everything fills in because I tend to get a little over-ambitious in there! 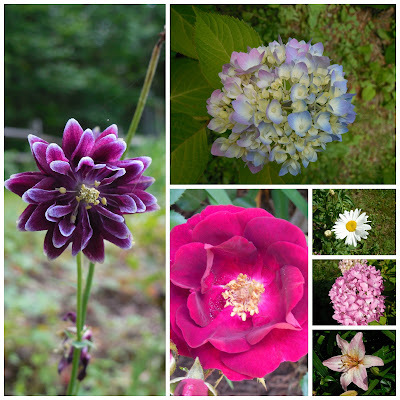 I was excited to see the roses and the hydrangea starting to bloom. Lots of color! What do you have growing and blooming? Comment below! Want to grow some container plants, but don't know where to start? My favorite resources are Gayla Trail's "Grow Great Grub: Organic Food from Small Spaces" and "Easy Growing: Organic Herbs and Edible Flowers from Small Spaces" (affiliate links) Definitely worth a look! Some of the greatest wonders of summertime are seeing fireflies light up the night, hearing the buzz of a bumbling bumblebee or counting the spots on a ladybug's back. Today we're going to take a look at three citizen science projects focused on insects. 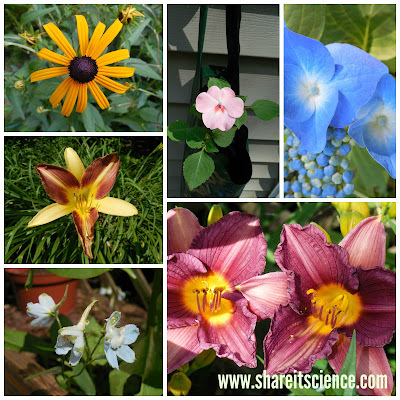 These are a great way to bask in the wonder of nature and contribute to scientific discovery. The Boston Museum of Science has teamed up with researchers from Fitchburg State College and Tufts University to study fireflies. Scientists are interested in where fireflies live and whether or not artificial light sources or pesticides have an affect on these insects. There are a lot of locations and insects out there and these scientists can't do this on their own. You can join Firefly Watch to help. Like any citizen science project, your observations are important pieces of data. You can participate easily in Firefly Watch by signing up to be a volunteer and then choosing a site to study. Perhaps it is your backyard or maybe a nearby park. Do you see fireflies at the campsite you frequent? When you make observations of your site you can then share this information online. Peruse the online map to see where firefly "hotspots" are near you! Looking for some other fun firefly activities? Check these out from the National Wildlife Federation. The Lost Ladybug Project is a joint effort of Cornell University, 4-H and Discoverlife.org funded by the National Science Foundation. The purpose of the project is to learn how the species composition of the ladybug is changing. Several, once common, types of ladybugs are now very rare. On the other hand, non-native species of ladybug's populations are booming. This insect is very important in terms of keeping the populations of other plant-eating insects, like aphids, in check. Scientists need your help to determine where populations of different types of ladybugs are. To participate in the Lost Ladybug Project all you have to do is photograph ladybugs when you see them and upload them using the website's submission form. There is a lot of info on their website on how to appropriately find, photograph and identify these insects. Bumblebee Watch is similar to the other projects outlined in this post. The mission is to track and conserve North America's bumblebees. Bumblebees are important plant pollinators. They help assure we have productive gardens and crops. Understanding more about their populations is very helpful in conservation efforts. This project originated with the Xerces Society and now has many partners. To participate in Bumblebee Watch you must sign up for an account. Then you can upload photos and observations you've made about bumblebees or bee nests. You can also explore the data on the website, see photos from other sightings and investigate bumblebee distribution maps. 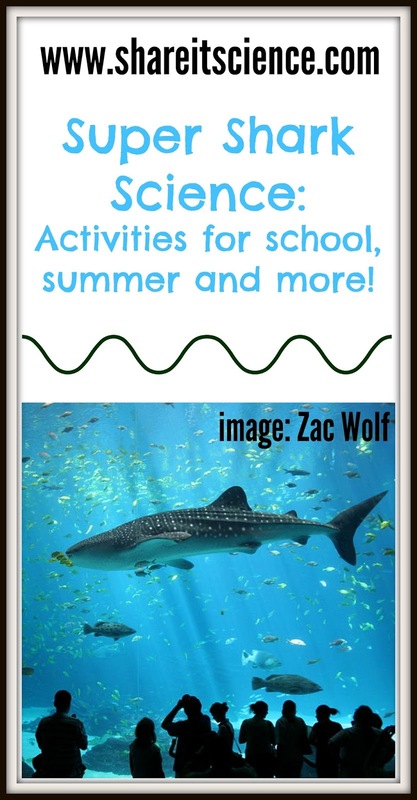 There are many ways to get involved in science and nature over the summer, often through the same exploration you, or your children, might be doing anyway! 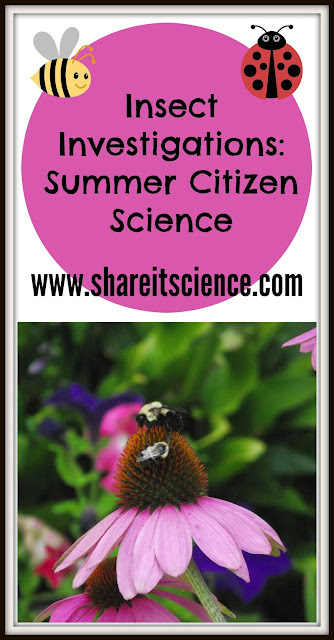 Do you have a favorite citizen science project? Please comment below!